Can't get down to the beach at sunset? No worries, you've got the perfect view right where you're standing. Here, poolside and beachfront are one and the same. Perfection. Nail that return on the resort courts. Wake up to one of the best views on Emerald Coast. Walk down the boardwalk and emerge on the beach. You're right across the street from Big Kahuna's water park and Alvin's Island shopping center. You can see for miles in both directions from your private condo balcony at Jade East Condominiums. Below, you’ll find a beachfront pool where you can cool off with a refreshing dip, and a hot tub for a soothing soak. Come together in the afternoon for a family cookout on the BBQ grills – special orders welcome, depending on who’s doing the flipping. For fitness fans, there’s a gym onsite. The resort also offers tennis courts, perfect for a game or casual rally. All residences feature full kitchens, living rooms, dining areas, and private balconies. You’re right across the street from the splash-happy Big Kahuna’s water park, and Alvin’s Island, where you’ll find a supermarket and department store. - The check-in location differs from the property location. 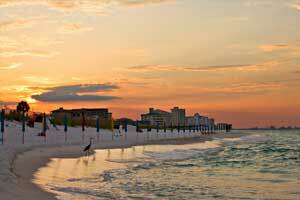 To check in, go to 35000 Emerald Coast Pkwy, Destin, FL, 32541. - Front Desk is open from 9:00 AM-5:00 PM daily. Guests who arrive after the office has closed must return the following morning, before noon, to complete check-in. For more details, please contact the office using the information on the reservation confirmation received after booking.